Winter well and truly struck Melbourne a few weeks ago. This left me in a bit of a state as I needed warm woolly things to help combat frozen over bus shelters immediately! And they have flaps so I can actually do stuff like blow my nose when it starts to run in the cold. 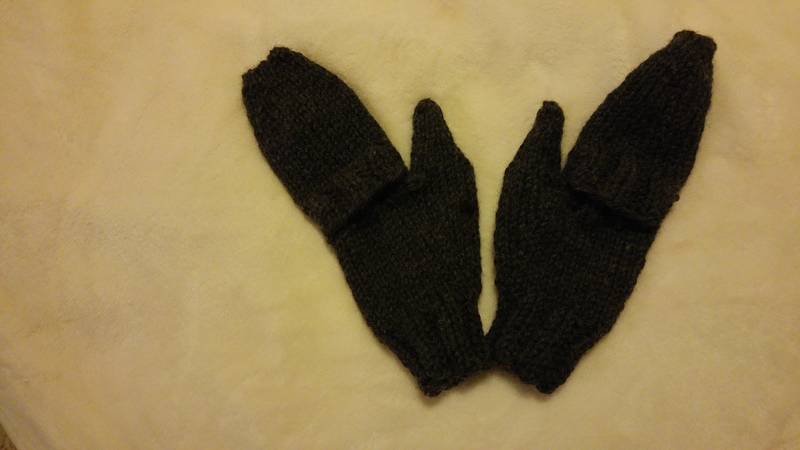 The pattern is split mittens and it’s a free and fast knit using 12 ply. 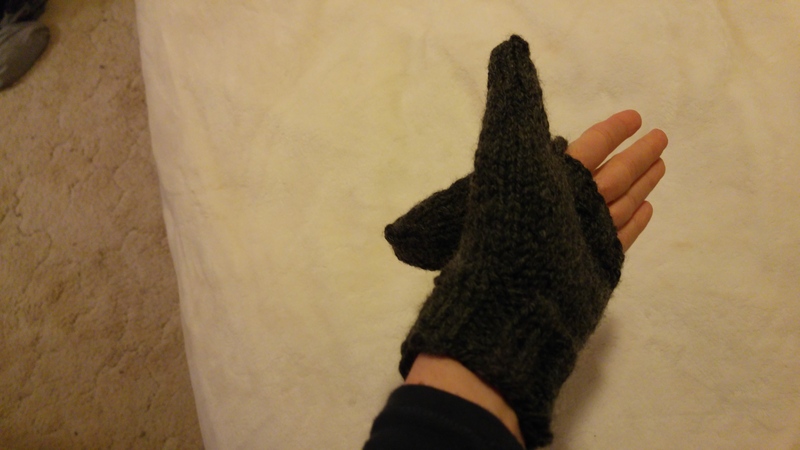 I modified it slightly by casting on less stitches for my midget hands and I probably could have been smoother with my decreases as both the thumbs and mitten cap are quite pointy. But overall I’m quite chuffed! 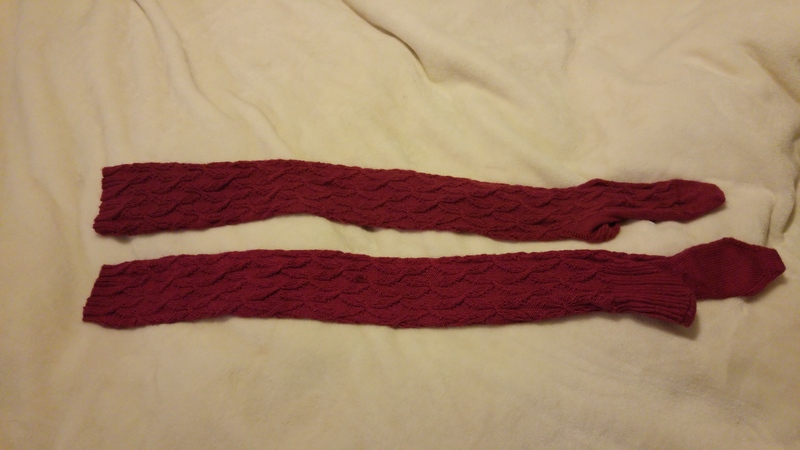 I also used stash yarn, though I did need to buy a second ball for the right hand. I also managed to get some dying in before the wet weather arrived. Alas I need to redo it as I now have 4 different shades of pink, but each of the 4 sides of the socks are all very close in colour so I’m confident my second attempt where I will actually follow the directions instead of winging it will be a success! In a stroke of excellent strategy fortuitous timing over the last few weeks, my favourite LYS, Morris and Sons, had their annual winter sale. Naturally, I promptly disregarded my ban on buying and purchased enough yarn for both projects. It would appear as though I am now completely committed. But the knitting gods are stern, cruel creatures. 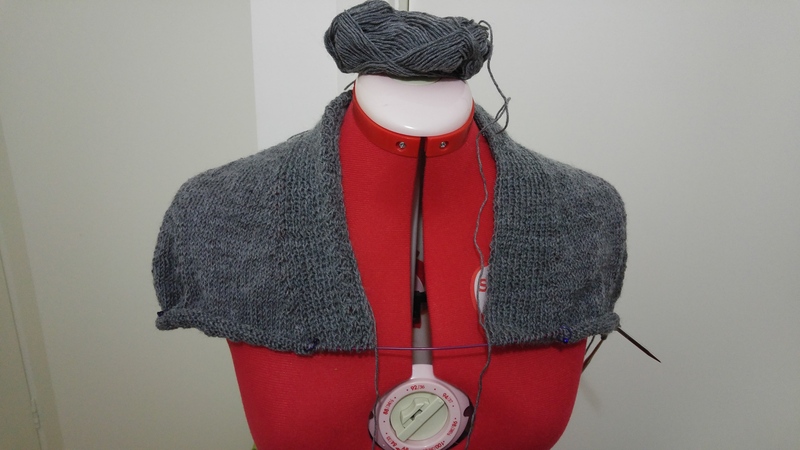 There wasn’t enough stock in store so I must wait for the yarn to arrive from the warehouse interstate, thus forcing me back to what I should be knitting, the whippet cardigan. So let’s face the elephant in the room. 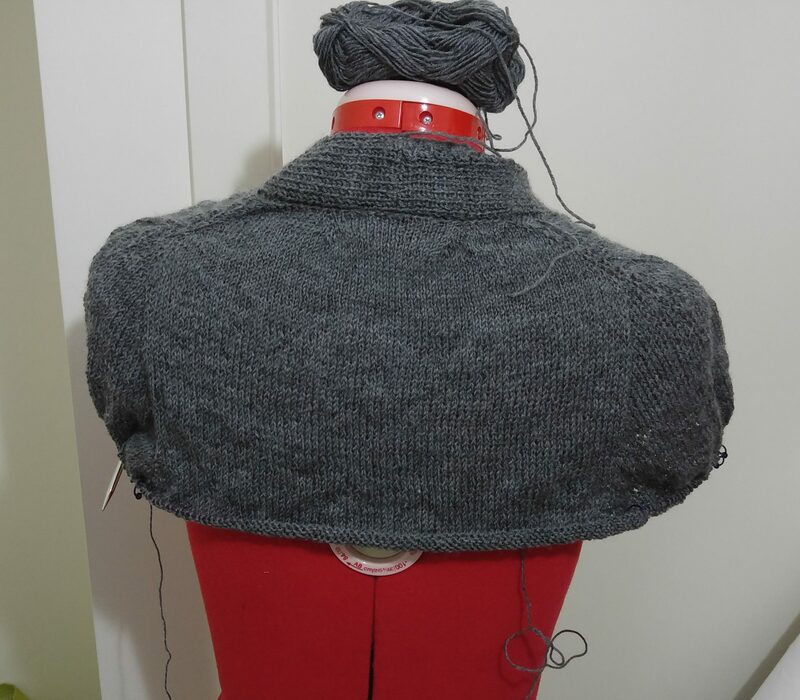 I’m normally one for monogamy with knitting, I really am, but it’s cold and a 4 ply drapey cardigan with a lace body just isn’t going to cut it. I’ve thought long and hard about this and although I do like the whippet pattern and enjoy spending time with it, I just can’t commit to it right now. It’s not you whippet, it’s me. No hard feelings, right? This entry was tagged crazy much, finished objects, it's not you - it's me, knitting, knitting sales, knitting shame, mittens, whippet. Bookmark the permalink.